Developers are being told to ‘watch this space’ as Ringwood undergoes a spectacular transformation. 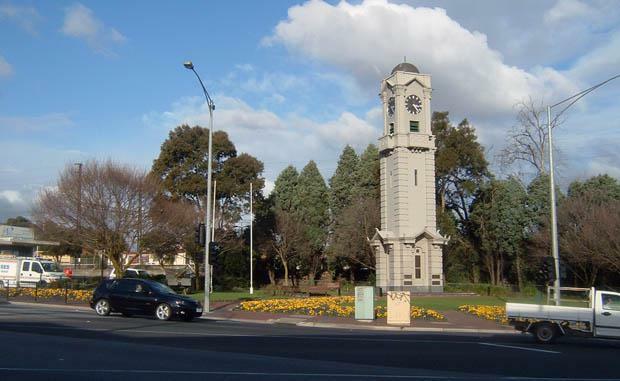 Located 23 kilometres east of Melbourne CBD, Ringwood is a suburban centre in transition. Commercial and residential transformation is also underway, with forecasts indicating demand for an additional 60,000sqm commercial floor space and 5000 dwellings required to meet demand in the Metropolitan Activity Centre by 2031. The State Government projects an additional 24,000 dwellings will be developed in the Ringwood Retail Catchment over the next two decades, providing housing for an additional 12% of residents. Strategically located at the epicentre of a network of major arterial roads and transport nodes, Ringwood benefits from unsurpassed metropolitan road and rail connections. Ringwood services a large catchment of Melbourne’s eastern growth corridor, and is the gateway to the Yarra Valley – Victoria’s hero food and wine destination. A priority of the Victorian Government’s blueprint for Melbourne’s growth, Ringwood is a designated Metropolitan Activity Centre - the highest priority centres outside of the CBD. The key Metropolitan Activity Centre in Melbourne’s outer east, Ringwood is now the focus of significant public and private investment, employment growth and renewal. Investment in integrated and sustainable development around first class transport services will position Ringwood as a key new urban destination with a vibrant city centre, active local economy and contemporary lifestyle options.